During a recent conversation with my best friend, I took the liberty of complaining about the weather in Pittsburgh, where she lives. For her—I was complaining for her. Lucky for me, this friend is a true mensch and didn't even bring up the fact that in her neck of the woods it's often been 10 degrees below zero. It was probably freezing during our conversation. Lucky for you, today there will be no woeful tale of a wimpy farmer with poor circulation. A dream. A steady 70 degrees with sun shining, breeze-rustled trees and rows upon rows of farm crops beginning to sense the Spring. It's very possible that I tempt the gods of Agriculture by touting the grandeur of Spring. I mean, it's still February. 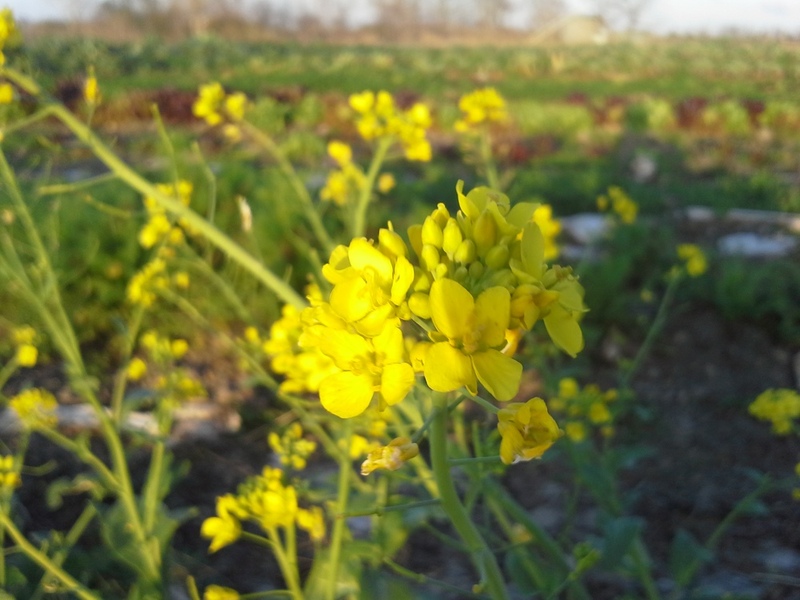 The rocket arugula is, well, ROCKETING! Technically, the average last frost date for our region is today, February 20th, so we should be looking towards warmth with no cold backward glances until many months from now. To be fair though, leafing through the Farmer's Almanac wouldn't have got you very far with this year's “Polar Vortex” either. Nature keeps us guessing, and as it's often-mentioned, things on a farm frequently don't turn out like you'd (okay, I ) thought they might. Yet there's no denying that switches have been flicked—the evidence is all over the farm. Small birds chirp nonstop, swooping through the fields on an incessant hunt for the bugs beginning to squirm in the warmer soil. 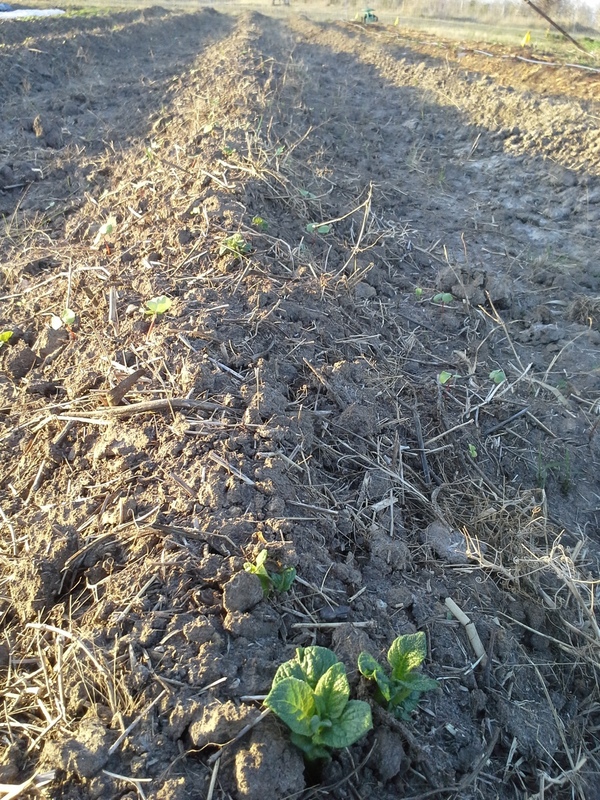 The seed potatoes have pushed through their mounds, unfurling velvety green buds above foot-high hills. 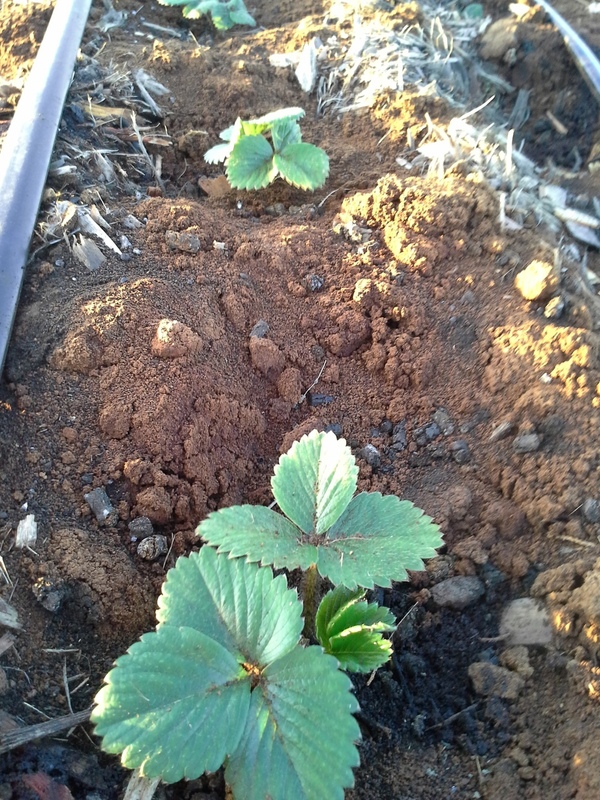 Our bare-root strawberries have all put on a healthy weight, stretching out their fan-like leaves. 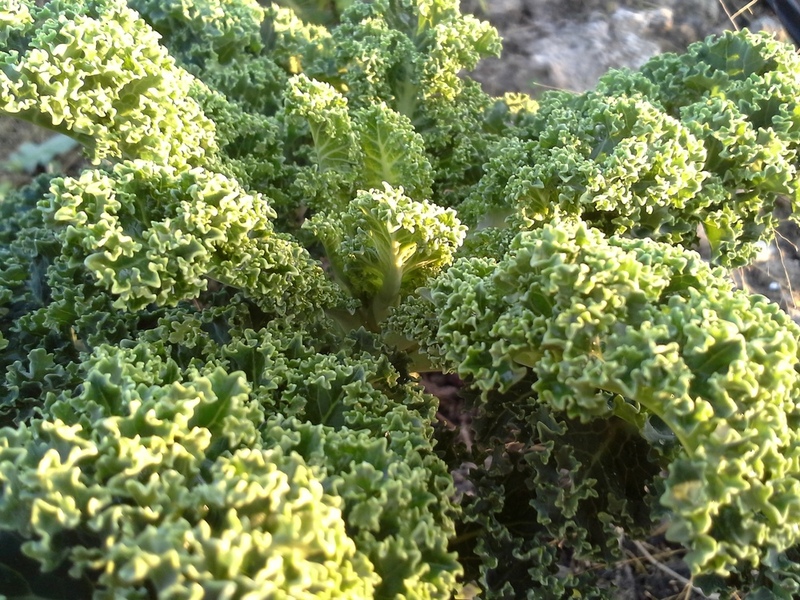 The kale and broccoli, both a little mopey from too-little sun over the past few weeks, shook off the blues and stood a little taller this week. Their relief was nearly audible, and all it took was a bit more sun in their diet. While bagging salad last Saturday for the farmer's market, the wind kept blasting through the washstand with the clear intention of carrying off leaves of lettuce only to strew them across the field. Almost exactly like watching money fly away. No, wait...exactly like watching money fly away. The comedy of errors lasted for nearly 2 hours while we scrambled to control our edible money tornado. 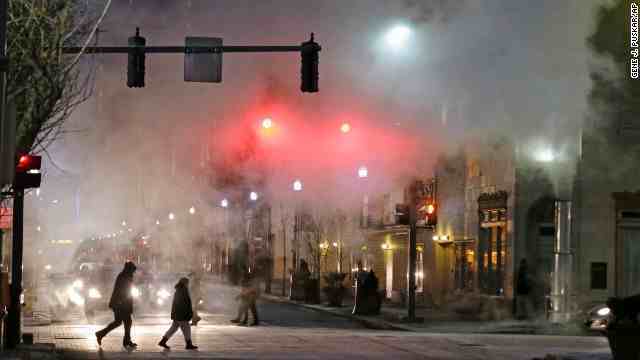 There was a lot of grunting, grimacing, and shouting. At the wind, of course. Alex even threw something. The wind took the high road, and said nothing. So, while I wouldn't say we're beyond our obsessions with the weather (or those threats against the North Wind), those frets have seemed farther away this week. 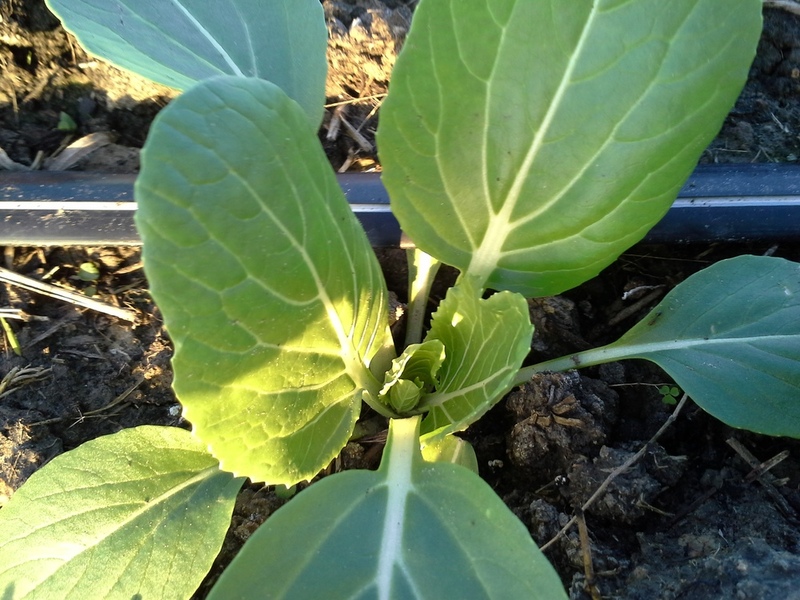 For us, there's been much more grinning at our bok choy than bellyaching and throwin' elbows.